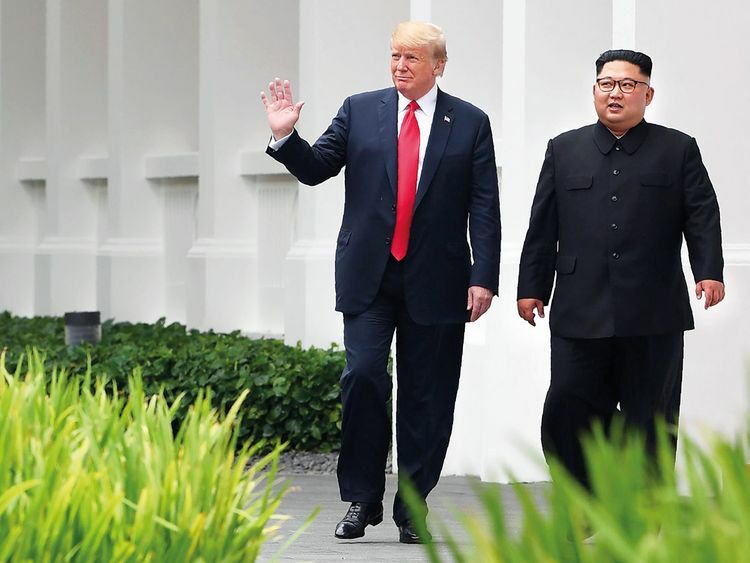 HANOI: Vietnam’s premier has said his country is willing to host a much-anticipated second summit between US President Donald Trump and North Korean leader Kim Jong-un. One of North Korea’s top generals Kim Yong Chol is expected to meet with Trump at the White House on Friday to hash out details of a second meeting with Kim, including a potential venue. The second round of talks follows a historic summit in Singapore last year and is aimed at denuclearisation and ending decades of enmity between the two nations. “We don’t know the final decision. However, if it happens here we will do our best to facilitate the meeting,” he said in an interview with Bloomberg TV. A Vietnamese government source who wished to remain anonymous told AFP “logistical preparations” were under way for a Trump-Kim summit although “no official decision” had been made. The foreign ministry told AFP that Vietnam “supports constructive efforts to solve disputes through peaceful dialogue ... on the Korean peninsula in particular,” in a statement earlier this month. The leaders agreed on a vaguely-worded statement in which Kim pledged to work towards “the denuclearisation of the Korean peninsula”.